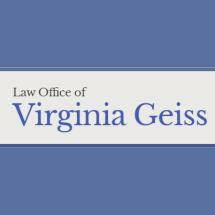 The Law Office of Virginia Geiss has provided successful family law services to clients in Brooklyn for many years. I understand that family disputes can be very emotionally distressing. Therefore, I work to help your family resolve the matters so that your family relationships can grow past the disruption. Please contact an experienced Brooklyn divorce and child custody attorney to discuss you unique situation. I have been practicing family law since 1978. Prior to opening my private practice, I served clients through the Legal Aid Society of New York City for twenty years. In addition, I worked under the Juvenile Rights Division of the Legal Aid Society, which represents children. This experience has given me a better understanding of what goes into determining the best interest of your child and aids in my preparation of your case for negotiations or trial. If you need a quality New York City family law lawyer, contact my Brooklyn family law office today to schedule a consultation.